These three wines are from an ambitious producers in one of Spain’s lesser known wine regions, Utiel-Requena. There is a lot of history here. Back as far ago as the fifth century BC, the locals trod grapes into basins carved into rock (this seems to have been quite common in Spain), and the juice released would then have been fermented in amphorae known as Tinajas. Located in the province of Valencia, this is a sizeable region, with 34 000 hectares of vines (shared around 6000 growers, although there are only around 100 wineries in the district). The climate is continental, with hot, dry summers during which it rains very little, and Bobal, a red grape, is the most widely planted. 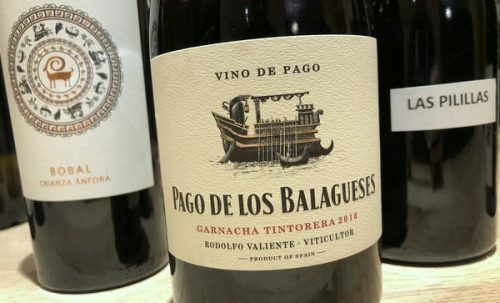 With interesting soils and plenty of old vineyards, this is prime territory for making interesting wines, and this is what Bodegas Vegalfaro are doing from their 60 hectares of organically farmed vines. I tried these three wines, and found plenty to like about them.